IMPORTANT UPDATE : Spark Pay is closed with effect from 1st January 2018 as announced by Capital One. 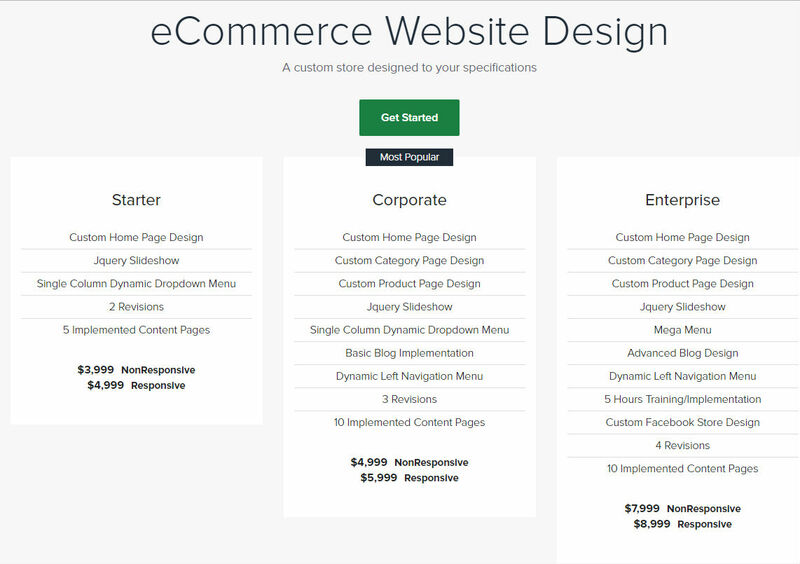 Winner of the 2010 Codiee award, this ecommerce solution is pretty comprehensive. The company is also listed in the top 5000 fastest growing companies in the US according to Inc. Pretty impressive figures and features that were listed and offered on their website. 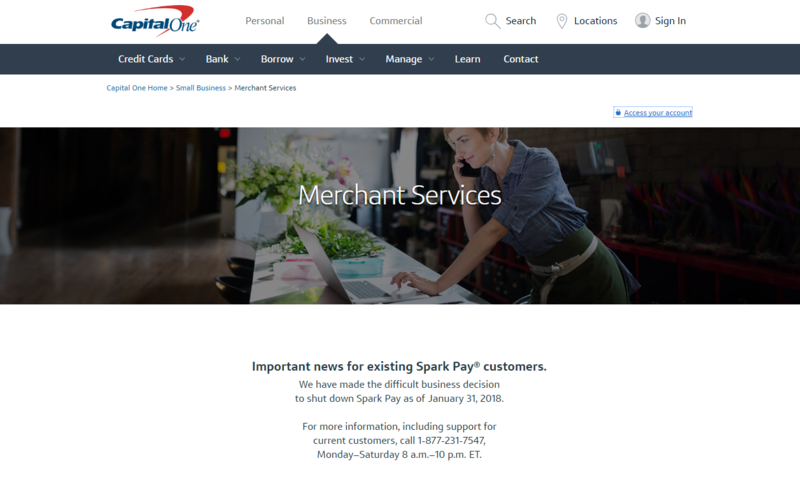 Since 2014, Americommerce was acquired by Spark Pay by Capital One. The entire ecommerce solution was re-designed with a completely brand new website look and additional features. O, Yeah! 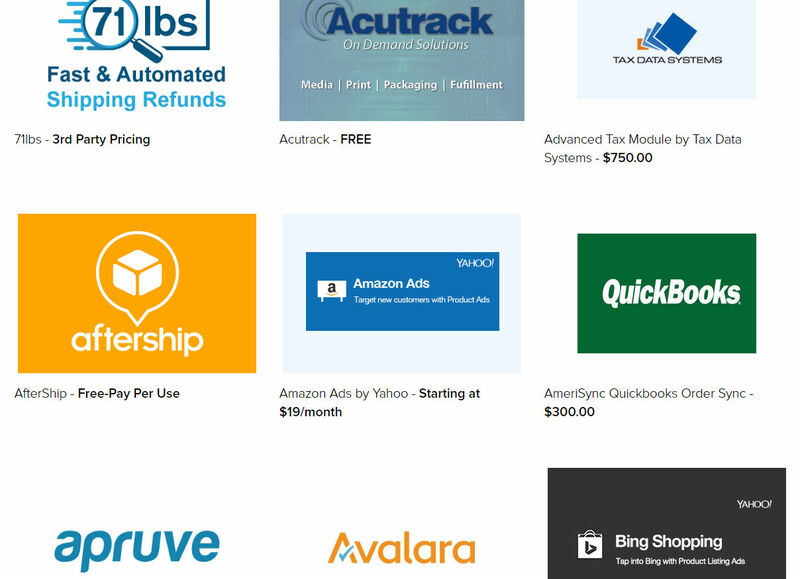 Impressive line of packages and features to help merchants save time. Themes come in a set and can be customized. Merchants can have greater control of their online store as there is an impressive range of customization that they could do. Admin panel shows clearly what is available for merchants to use. Offers custom shopping cart package to meet the requirements of customers. O, No! Slow lag time. Uploading individual images or product details may drive new merchants nuts as it’s too time consuming. Only 26 pre-designed themes to choose from. Not really user-friendly especially if you are not a very technical person. The solution does not cost much and is rather reasonable in terms of pricing. Good to know that they do not charge any transaction fees. However, I do wonder whether 250MB is enough disk space for those who take the Steel Plan which offers up to 100 products. Spark Pay also does not charge any setup fee. Note : Merchants who want an additional store front just need to pay $39 each which according to Spark Pay is scalable and all controlled within one admin panel. Suggestion : Please check the size of your total product images in case you do not have enough disk space for the plan that you’re taking. 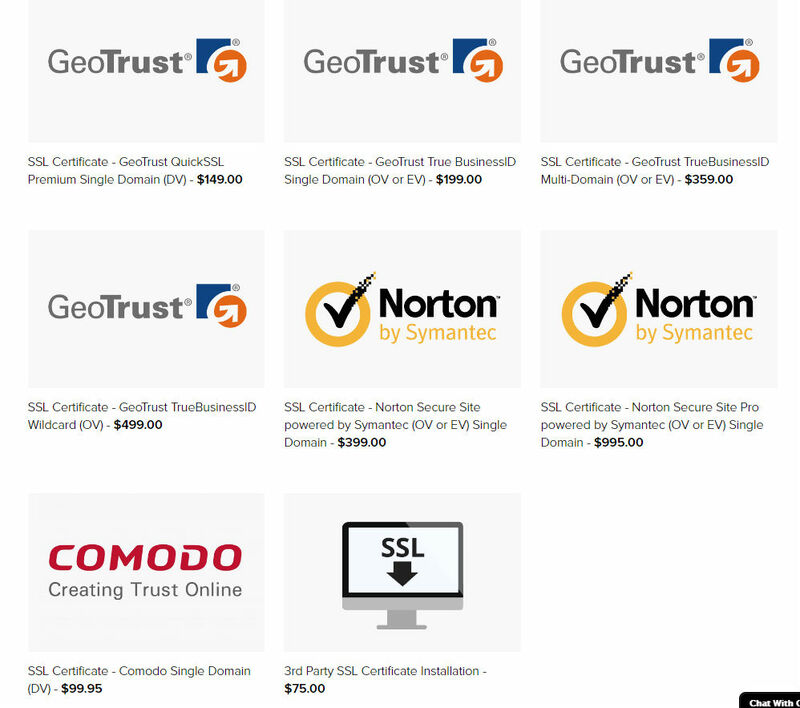 While the packages offer free shared SSL for merchants to use, those who wish to purchase their own SSL certificate could do so as well. Spark Pay came up with brand new themes which is refreshing. Please bear in mind that not all the themes are free. 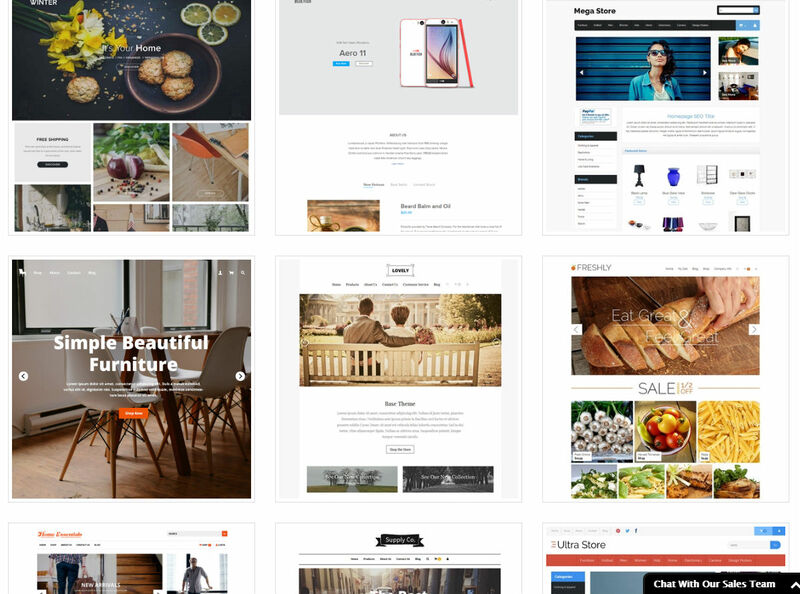 The free themes have a blog like feel. 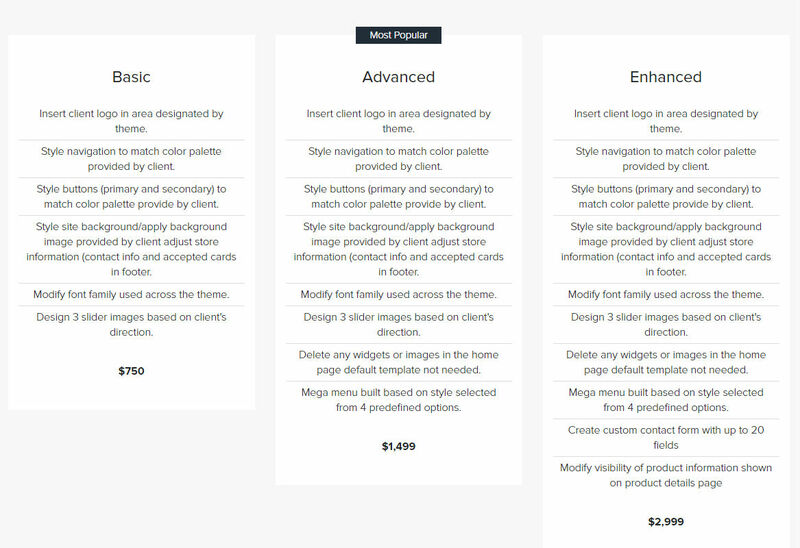 The nicer looking themes cost $95. If you still can’t find any theme that you like, you can request for a customized theme of which they will take an existing theme and customized it for you. Just to give you an idea on how much Spark Pay charges for their website design services. The above is for a complete full site design. Merchants have a choice of choosing between responsive or non-responsive design. 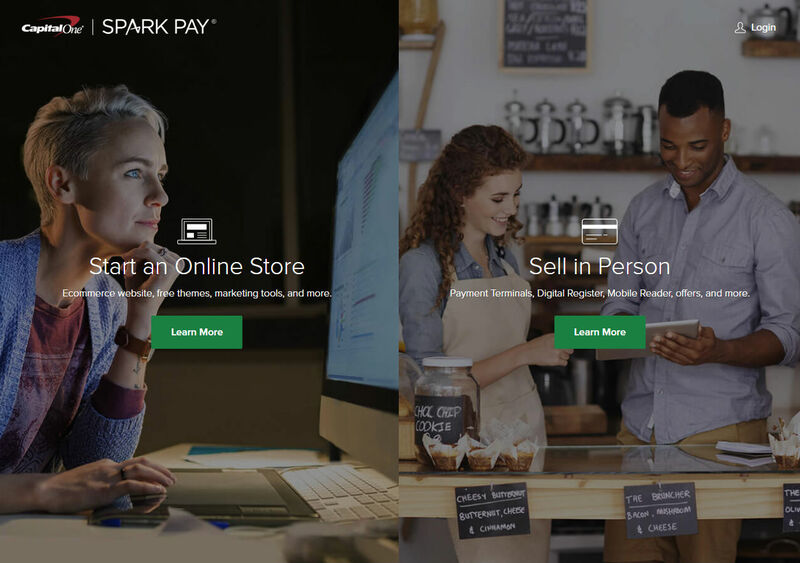 For merchants who do not want to spend the time to customize their own store theme, they can opt for Spark Pay’s Theme Customization Service. Merchants who sign up for the free trial will land on the dashboard and be guided to pick their store theme first. Once a theme is picked, merchants can customize it themselves or if they don’t have the time, they can go for the Spark Pay Theme Customization Service and pay for it. Customizing the theme didn’t look too difficult. Merchants get to see what their selected theme looks like in desktop, tablet and mobile view. Spark Pay’s theme editor seems to need tweaking as I tried modifying the theme and it went around in a loop with lines of code showing up at the top of the page. Anyway, adding products on Spark Pay was easy. The interface was clean and not complicated to use. once you’ve added your first product, you have a choice to continue adding more products or to move on to the next step. 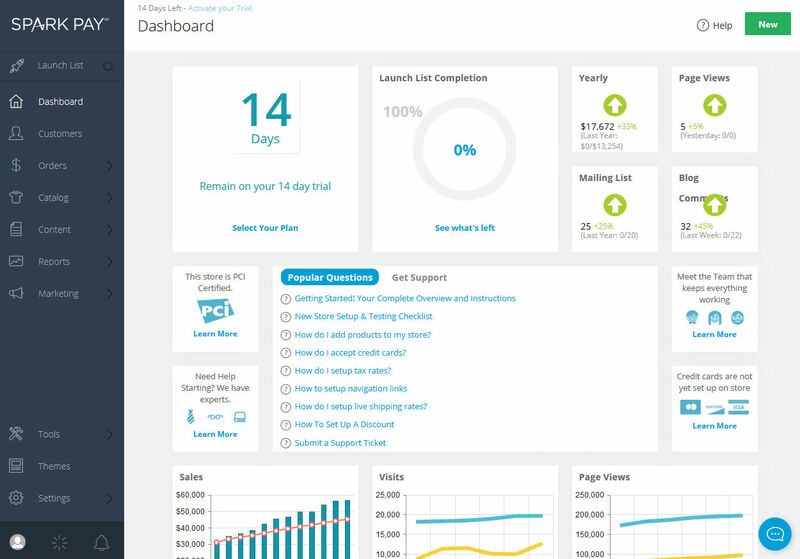 The ecommerce software provider basically wants merchants to add their first product before showing them the dashboard. It was commendable that they had a simple overlay just to show merchants where important stuff was located on the dashboard. Bear in mind that the dashboard shows pre-populated stats and information. While this makes it look real, merchants may end up confused? Don’t worry as you can always remove or edit the widgets on your dashboard as you may not need certain widgets depending on how you want you want your dashboard to function. 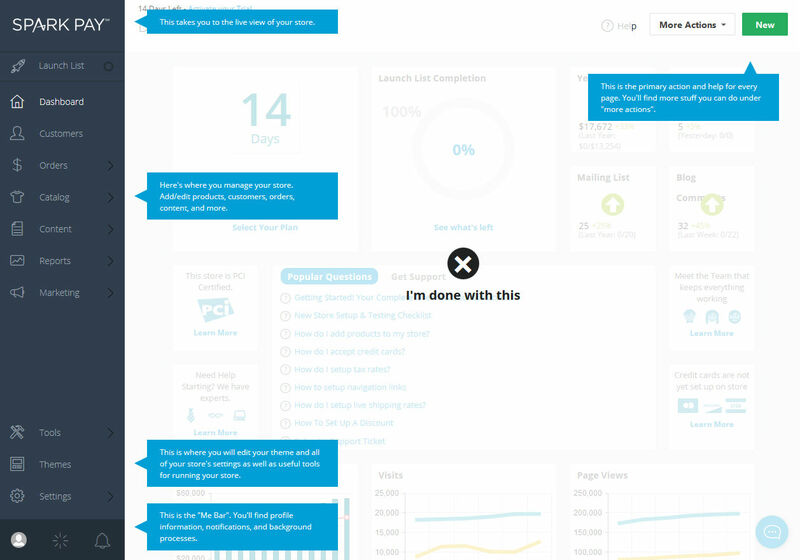 Tip : Keep only what’s useful to your store’s business in your Admin Dashboard. Just in case you need some guidance, just click on Spark Pay’s Launch List which will act as a guide on what are the most basic tasks that you need to do to complete setting up your store. 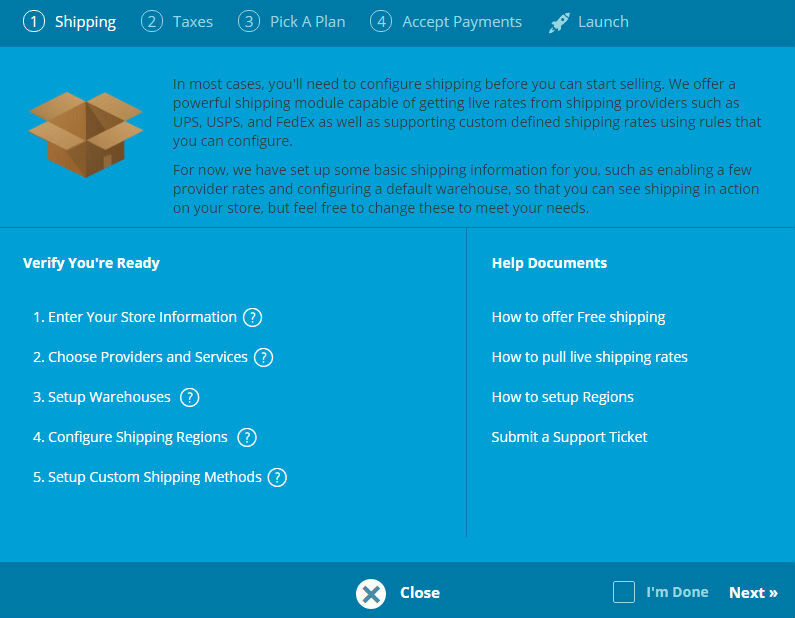 They include tasks like setting up Shipping, Taxes, Payment and picking the plan of your choice. 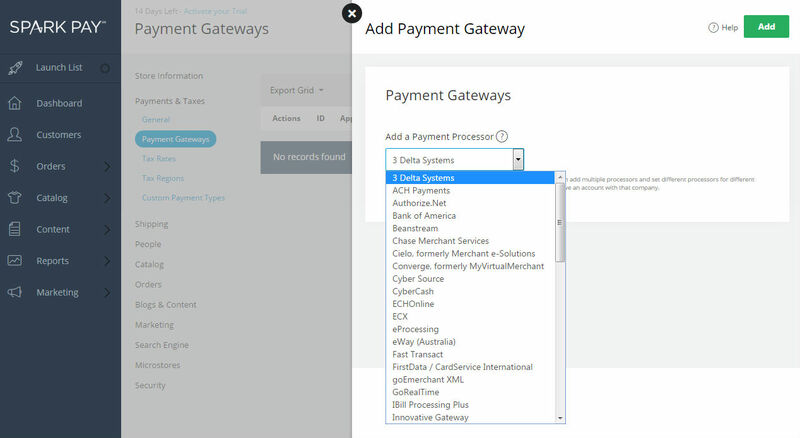 I was a bit puzzled when I wanted to check what types of payment gateways were offered to merchants. The payment gateway section was blank. Anyway, to see the entire list of payment gateways supported by them, you’ll need to click Add and select from the drop down list. Merchants have a choice of choosing UPS, USPS, Fedex, DHL or UPSFreight as these come integrated with Spark Pay’s shipping. However, please note that there must be an account with the respective shipping provider before the shipping provider could be used. Spark Pay has their own apps which merchants could use for their store. 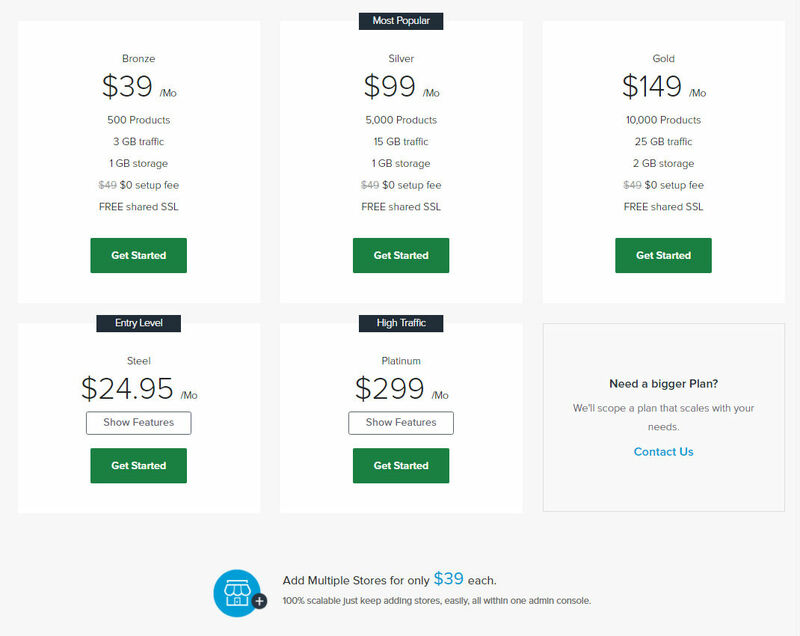 These are basically somewhat like plugins or apps which you could choose to add to your store. The good thing about this is that you pay for what you need to use. Some are free while others are chargeable. For those who do not need any of these apps or plugins, you don’t have to worry about paying for stuff that you are not using. 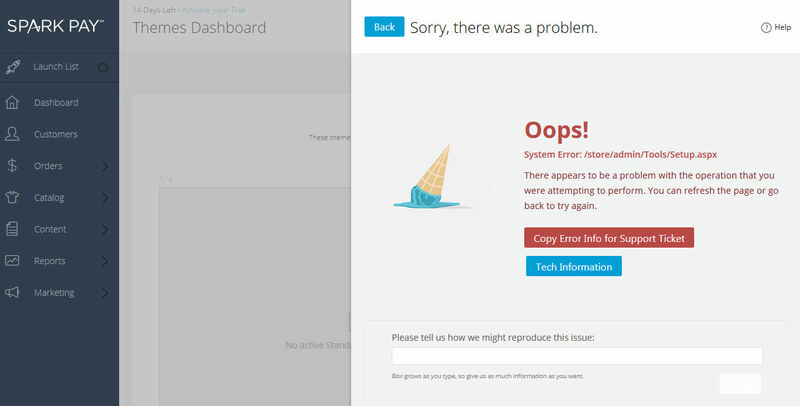 Even after I had my store name changed, there seems to be some glitch with their system which keeps showing error. I tried logging out and logging back in but it seems to be going round in a loop. Spark Pay just needs to improve on their theme template as there seems to be a few coding glitches when one wants to make changes to the theme. And it would really help if they got rid of the sliding window prompt asking merchants to update their store details which resulted in so many oops and system errors which I could not seem to comprehend – all I wanted to do was to change the store name!